Another day, another wild ride for China stocks. China's benchmark Shanghai Composite index shed nearly 5% during morning trading on Tuesday, before mounting a recovery and closing up 2.2%. 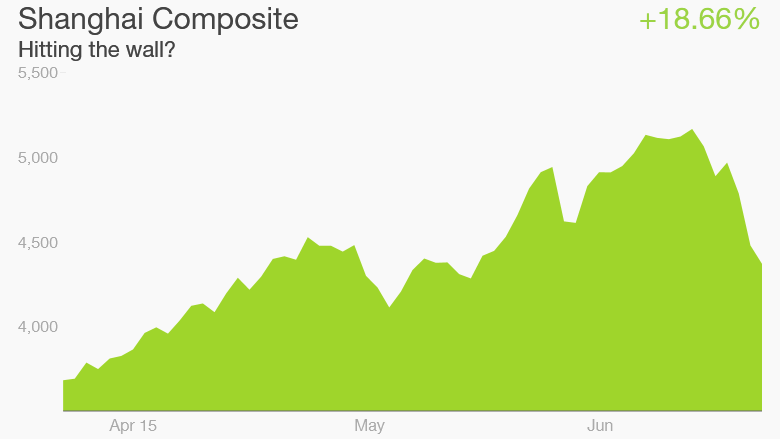 The Shenzhen Composite, which is heavy on tech stocks, followed roughly the same pattern. 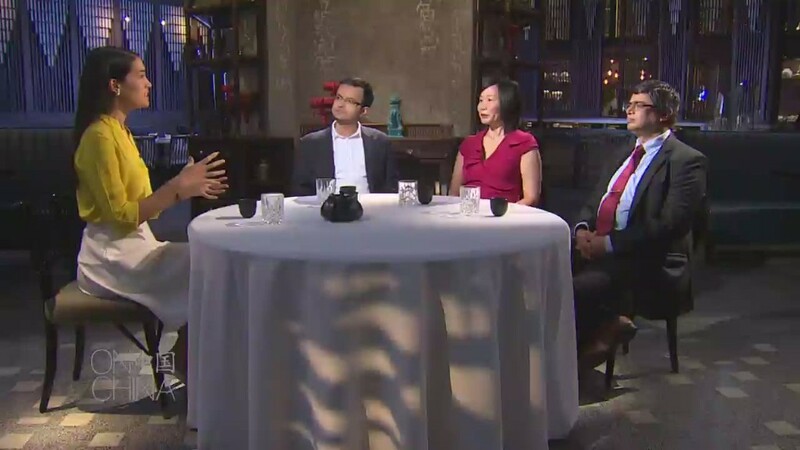 The dramatic moves could further unnerve investors, who are already reeling from last week's dismal performance by China stocks. The Shanghai Composite is now solidly in correction territory, having fallen nearly 12% over the past five trading sessions as investors grow increasingly wary of a possible stocks bubble. Even with recent losses, the Shanghai Composite has surged nearly 40% this year, and the Shenzhen Composite is up more than 90%, easily making it the world's top-performing index. Experts remain puzzled by the stock market boom. China's economy is going through a rough patch, with growth now at its weakest pace since 2009. Corporate profits are actually lower than a year ago.